Prepathon wants to make your preparation for entrance exams easier with the help of dedicated personal coaches. MOOCs have taken the Internet by storm since it makes learning obscure topics easy at your own comfort level. Nowadays the same services are providing their courses through mobile apps to make it easier to access anytime they need. The courses available on these services are vast, no doubt about it, but the ones offering courses for entrance exams in India are rare. PaGaLGuY, a popular learning portal functioning in various education verticals has now come with its own mobile app called Prepathon. It tries to fulfill your preparation needs for several entrance exams, emulating a personal coach to guide you. Prepathon has a user-friendly UI where you can enroll into courses such as CAT, Current Affairs (newly added), IBPS, JEE and SSC. These courses are further divided into sections of Learn, Discuss and Coach. 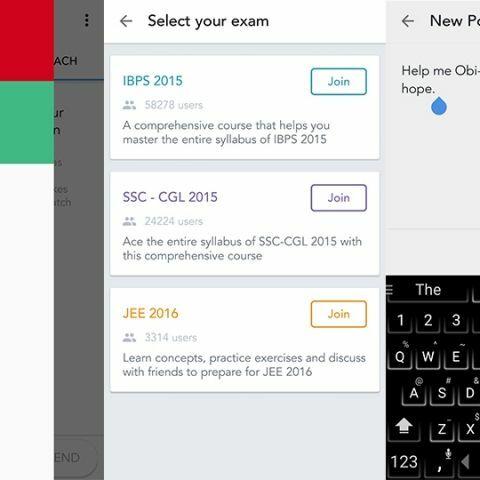 Under Learn you can browse all the tests listed under the course you have selected. The Discuss section will let you post your queries or scroll through queries already posted by other users. You can also post images in this section, further expanding the possibility of acquiring answers to complicated problems. You’ll also have access to a personal coach who will guide you and answer any type of doubts you have related to the courses. 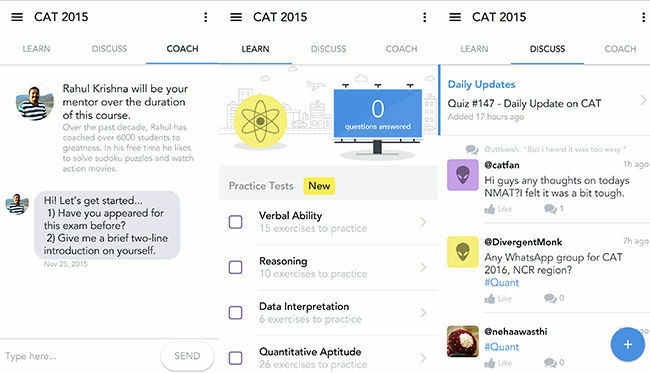 Your coach tracks all your activity in the app and keeps nudging you to continue solving the various tests, the same way your mom keeps breathing fire over your neck to finish your assignments. The best part about Prepathon has to be that all the courses currently available are free to use. Allwin Agnel, Founder of PaGaLGuY, gave us a better perspective on the company’s plans with Prepathon. Raking in at around 25,000 daily active users, we’ll be seeing the introduction of a few courses for exams from the government and private sector. The course material present has been created by themselves along with the dedicated coaches present on the service. In the future, Prepathon plans on turning the service into a platform where coaches can enroll themselves onboard. The team is working on making a more robust coach-student module, benefitting both the coach to monitor their students efficiently and also the students to get the most out of the service. The company certainly plans on shifting to a subscription model later when they are completely sure about the functionality of the various modules present in Prepathon. An iOS version for Prepathon is in the works and currently the Android version can be downloaded from the Play Store.